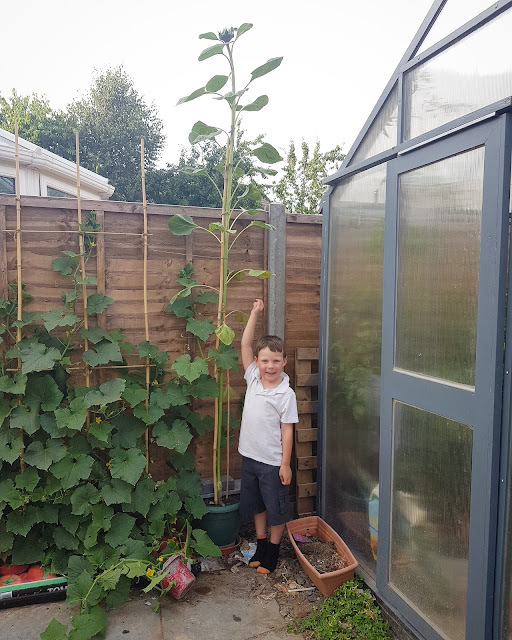 Our sunflower is still growing and is yet to flower, you may have seen me share this on Instagram earlier this week but currently it's standing tall at 244cm! So tall! Your little man is so cute! Love the photo.